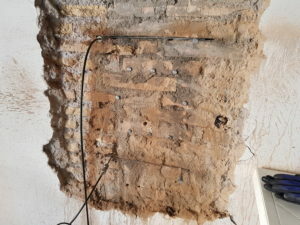 Evidence of building masonry in the historical centre of Rome, with a compression system using flat jacks (test with single Jack to check the tensional state of the masonry and test with double jack for the determination of the elastic modulus). 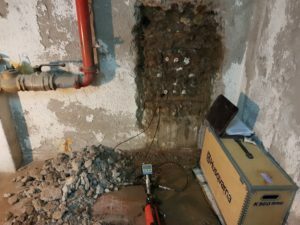 For this type of test we use a digital Deformometer brand Mitutoyo Millesimale. 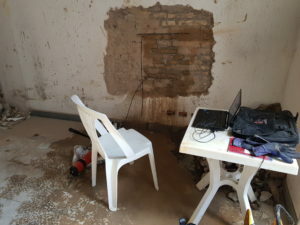 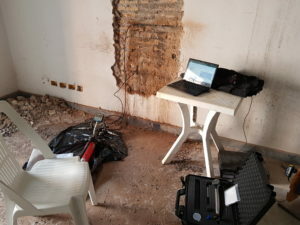 The test is carried out by reporting the measured values directly on a PC graph to evaluate the maximum value before the collapse of the masonry.